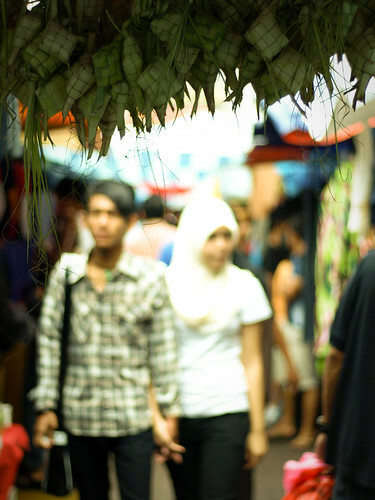 A couple was seen to pass by a bunch of Ketupat, a malay's traditional rice dumpling that usually eaten with Rendang (Hot Chicken Gravy) during the Hari Raya. This picture was taken around Jalan Tuanku Abdul Rahman. 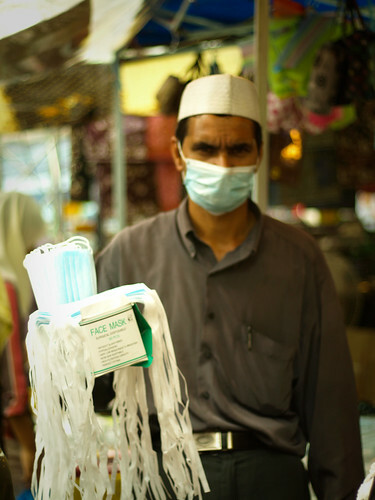 The H1N1 outbreaks around the world has made the people to be more aware of what they are inhaling. This picture of foreign seller was captured yesterday in Jalan Tuanku Abdul Rahman during the Hari Raya's shopping spree. When the Hari Raya is around, people throughout the country usually will start to spend their money to go shopping. This women was seen in a shoe shop yesterday, busy choosing on what shoe should she buy. This picture was taken around Jalan Tuanku Abdul Rahman. 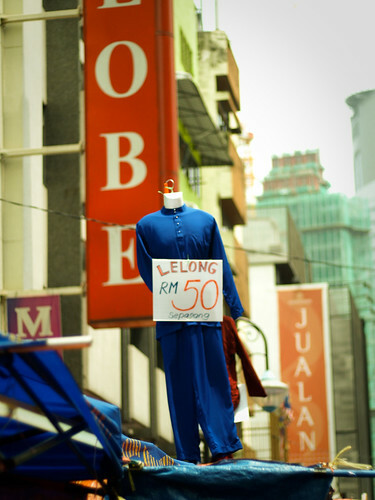 The seller around Jalan Tuanku Abdul Rahman has variety of ways to attract the people passing by. It's Hari Raya's eve anyway. This women was seen on her way to shop at Jalan Tuanku Abdul Rahman yesterday regarding the Hari Raya celebration (Eid Mubarak). 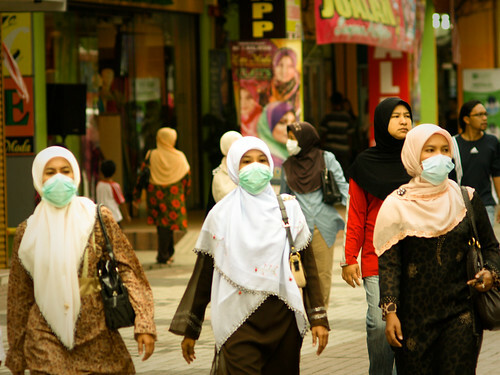 Malaysian publics still aware of the H1N1 epidemic though the mortality has reach zero percent this past weeks. These three women were on their shopping spree for the becoming Hari Raya. This man was doing the aqad for the Zakaat al-Fitr. Zakaat al-Fitr is charity given to the poor at the end of the fasting in the Islamic holy month of Ramadhan. The word Fitr means the same as Iftar, breaking a fast and it comes from the same root word as Futoor which means breakfast. This picture was taken at National Mosque, Kuala Lumpur.